Diverse@Imperial week is a week-long celebration of Imperial’s diverse community and the talent within it, taking place from 29 Jan – 2 Feb 2018. During the week, there will be an exhibition in the South Kensington main entrance, showcasing stories from Imperial staff and students, and these stories will be shared online throughout the week as well. The College Social Media team are doing an open call for staff and students to volunteer to be interviewed so we can write and share these stories. Interested staff/students should email socialmedia@imperial.ac.uk to find out more. Prior to taking up the role of Vice-Dean (Education) for the Faculty you’ve held senior Faculty and College level roles as Campus Director for St Mary’s and as a College Consul. (How) do you think you will be drawing on this experience in your new role? I was Campus Director (or Campus Dean as it was then called) for St Mary’s for just over 5 years and I learned a lot during that period about what really matters on the ground at an academic campus –in particular I learned that the drive to ensure a good educational environment for our students has always, ultimately, come right at the top of our priorities. Whilst Imperial as an organisation is often considered to be heavily research-focussed, the reality I encountered when working with colleagues at the campus is that the imperative of delivering a curriculum to a high standard of quality was always acknowledged and staff across academic and non-academic functions work hard to make that happen. That’s a great piece of insight for me to take into this new role. From 2013, I served as Clinical Consul for three years. This is a College level role and undoubtedly the role has grown my knowledge of the functions and complexity of the College as a whole, and allowed me to get to know the academic leadership and senior management team much more broadly. I hope that this combination of experiences in these roles will enable me to marry an understanding of institutional level drivers for development and enhancement with real acknowledgement of local impacts at a delivery level – and hopefully to draw knowledge upwards from a local level to influence and enhance institutional level engagement with key developments. What has impressed you most about the education activities you’ve seen underway in the Faculty. There is an outstanding cadre of people in the Faculty who support the education mission. The support I have received from Martin Lupton, Jane Saffell and the senior leadership team has been immense as I have come into the role, but equally I can now point to individuals right throughout our Faculty – and indeed beyond our borders within the NHS itself – who are extraordinarily talented and committed educators and tutors. From the perspective of expertise and dedication there is no limit to what we can achieve in our educational programmes – a challenge for me and the central team will be to ensure we continue to support and channel these skills in the best possible way to effectively enhance and innovate in our programmes, develop strongly as educationalists and respond to students’ needs. As the College’s lead in the collaborative LKCMedicine, what benefits do you feel both parties, and students, receive from such endeavours? I’ve had the privilege now to visit Singapore a few times and to see the new school in action. The real joy of being involved in a project like LKCMedicine is being able to see benefits being generated from the interplay between Imperial’s rich history and expertise in medical education with the fresh approach and quality of engagement to be found among our partners (with NTU, with our Singaporean governmental and healthcare partners, and from the student-base itself). 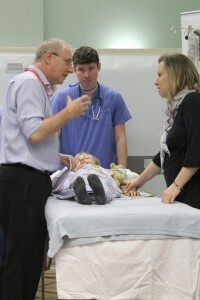 These early years of new educational developments are immensely exciting times – I was at Southampton at a similar point in the development of its medical school some years ago, and what I witnessed there (as with here) is the high level of enthusiasm and sheer determination to ‘get it right’ that accompanies a new venture. That enthusiasm drives a huge amount of creativity and innovation – and ultimately quality! For Imperial, it seems to me that LKCMedicine has been a hugely valuable development. Among our academic faculty, it’s given us a space and a framework to take a step back and consider a medical curriculum in the round, and to identify where we should be harnessing Imperial’s strengths to offer every one of our students a distinctive and outstanding education during their time with us. Much of the experience we have gained from that process is also feeding on into our own UK course developments. In addition, the project has generated huge amounts of innovative teaching tools, technologies and approaches that we are now harnessing within our UK programmes. Most recently we’ve seen the beginning of what I think will be a really valuable opportunity for our students to meet and engage with their LKC peers (and vice-versa). This offers our students a unique development opportunity to share common issues as well as key differences arising from practicing medicine in different healthcare systems and with distinct sets of health challenges. Our first cohort of students from LKC Medicine visited last month and I hope to see these sorts of opportunities to broaden and enrich the learning experiences among our students flourish. In your clinical research you also act as lead for one of the themed specialty clusters for the NIHR Clinical Research Network. What, in your experience are the key benefits of broad collaboration between clinical research environments, and how have you sought to foster them? The evolution of the clinical research network infrastructure has been hugely beneficial to UK clinical research. Collaboration through the national networks plugs gaps at both ends of the clinical trial spectrum, from facilitating the development of major (1000+) multi-participant trials right down to enabling the study of extremely rare disease through creation of study participant groups which are of a sufficiently critical mass to allow statistically meaningful conclusions to be drawn. The networks have broadened the spectrum of partners involved in the clinical research mission. Through their efforts, major academic centres such as Imperial are not reliant on pre-existing collaborative relationships with a small number of major academic medical centres. District hospitals and local clinics as well as major specialist centres are now all engaged in (and talking to each other as part of) the process of identifying and recruiting participants. 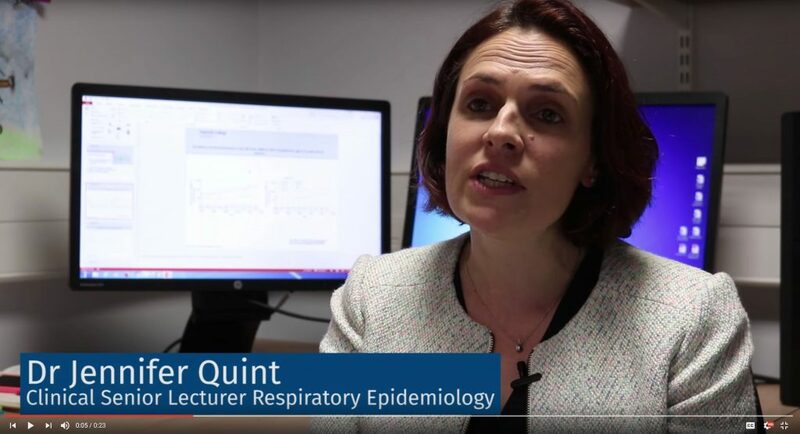 This process is strengthening the evidence base for our studies and broadening the skill-base across the UK for delivering clinical research. I’ve also witnessed the opportunity the networks have afforded to enhance understanding in the academic and health service sector of the particular approaches and pressures encountered by Industry partners for industry-sponsored studies. Increasing interaction with industry is going to be key for UK and academic medicine going forward and so the sharing of understanding and experience generated by the CRNs is extremely helpful in developing the strength of interaction which will be critical to our future collaborative development. Are there any differences in the approach you take to your external and internal leadership roles. Obviously both are focussed on delivering excellence and benefit, but I do think there has to be a slightly different focus for internal versus external roles. In my involvement in NIHR CRN, the key need has been to build up the tools, evidence and strong relationships which enable us to reach out to professionals and patients from widely differing parts of the healthcare delivery system and demonstrate what the benefits of involvement in research (and indeed of collaboration itself) are for their own services and professional development. For internal leadership at Imperial, there has to be a much more heavy focus on day-to-day delivery and enabling that to be as effective for the organisation as possible. The real challenge for internal roles is maintaining a balance between that focus on detail and delivery and retaining a strong sense of the ‘big picture’ and the long term strategy for supporting the College to continue to excel. Looking forward, what do you see as your greatest challenge for education in the Faculty, and where do you feel the most potential for excellence is? With changes in the funding and fee landscape, and rising delivery costs, it is going to be absolutely vital to ensure that an Imperial medical and science education does not become a treasure that only the wealthiest bright young people in our society can enjoy. Extending our educational opportunities to the most able students wherever they come from, and ensuring our student population is as representative as possible of the wider populace it will ultimately serve, is critical – we must continually challenge ourselves in the Faculty to support and enhance our strategies to ensure this. The other great challenge I see for us in the Faculty is also one of our greatest opportunities for excellence. The sheer pace of development of new health technologies and approaches (not least within our own research labs, centres and spin-outs) coupled with a constant drive towards effective dissemination and uptake is creating a continually shifting health landscape for which we need to prepare our students. We cannot afford to rest on our laurels in the educational mission: what equips today’s medic for practice may tomorrow be redundant; an area of interdisciplinary research which was unheard of when today’s final year students first entered the MBBS may already be the basis of new care models for our health service when this year’s freshers graduate in six years’ time. We are outstandingly placed at Imperial to draw on our own discoveries, academic collaborations and translational expertise to continually review and future proof our curricula, translate our discoveries into widespread understanding, create the innovative skill-base among our students to drive future development and ensure Imperial graduates are the very best at operating in the health and scientific environment into which they will emerge. I think that’s an extraordinarily exciting opportunity and challenge for everyone in the Faculty. Department of Primary Care & Public Health. 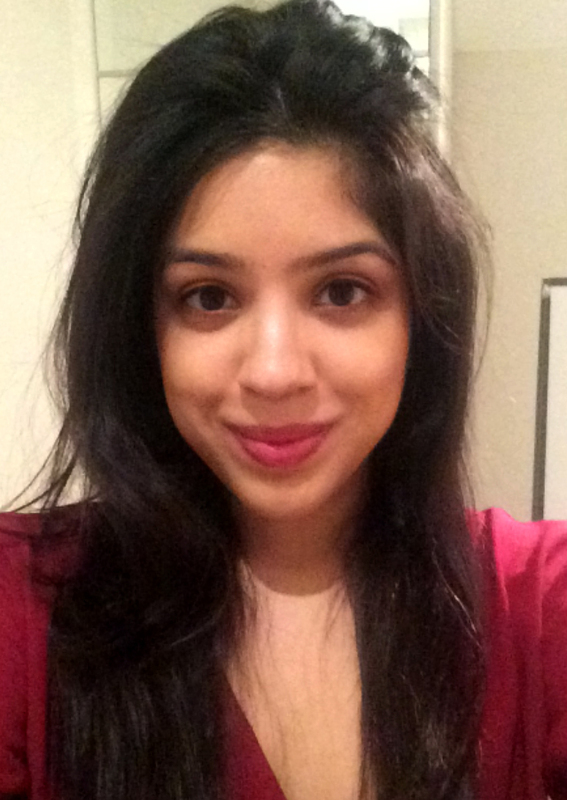 She joined the King’s Fund as part of an innovative training post at Imperial College Healthcare NHS Trust. Here she discusses the King’s Fund report she coauthored – Bringing together physical and mental health. Integrated care initiatives in England and elsewhere have paid insufficient attention to the relationship between physical and mental health. Our report draws on a review of published research evidence, qualitative interviews and focus groups with service users and carers, and case studies of 10 services in England. We conclude by arguing that overcoming the longstanding barriers to integration of mental and physical health should be a central component of efforts to develop new models of care that bring together resources from across local health systems. 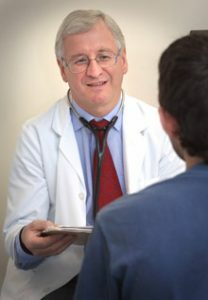 The case for seeking to support physical and mental health in a more integrated way is compelling, and is based on four related challenges: 1) high rates of mental health conditions among people with long-term physical health problems, 2) poor management of ‘medically unexplained symptoms’, which lack an identifiable organic cause, 3) reduced life expectancy among people with the most severe forms of mental illness, largely attributable to poor physical health and 4) limited support for the wider psychological aspects of physical health and illness. Collectively, these issues increase the cost of providing services, perpetuate inequalities in health outcomes, and mean that care is less effective than it could be. The first two issues alone cost the NHS in England more than £11 billion annually. Examples of innovative service models described in the report demonstrate that there are opportunities to redesign care in ways that could improve outcomes and may also be highly cost effective. These include various forms of enhanced support in primary care, integrated community or neighbourhood teams, comprehensive liaison mental health services, physical health liaison within mental health services, and integrated perinatal mental health care. All health and care professionals have a part to play in delivering closer integration. Our research with service users and carers highlights the importance of professionals being willing and able to take a ‘whole person’ perspective, and having the necessary skills to do so. Integrated service models can support this by facilitating skills transfer and shifting notions of who is responsible for what. Equally, a great deal of improvement is possible within existing service structures. New approaches to training and development are needed to create a workforce able to support integration of mental and physical health. This has significant implications for professional education; all educational curricula need to have a sufficient common foundation in both physical and mental health. My involvement in this project provided a unique opportunity to relate everyday clinical practice to the range of barriers that have prevented wider adoption of integrated approaches. These include: separate budgets and payment systems for physical and mental health; the challenge of measuring outcomes and demonstrating value; and cultural barriers between organisations or groups of professionals. The report describes several enabling factors and practical lessons, including the value of having a board-level champion for physical health in mental health trusts, and vice versa. New payment systems and contracting approaches offer commissioners various options for overcoming some of the financial barriers. 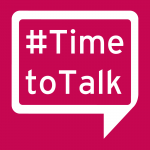 In recent years there has been a welcome focus in national policy on achieving ‘parity of esteem’ for mental health. Colloquially, this phrase has often been interpreted to mean that mental health services should be ‘as good as’ services for physical health. We argue that there is a greater prize beyond this, in which mental health care is not only ‘as good as’ but is delivered ‘as part of ’ an integrated approach to health. 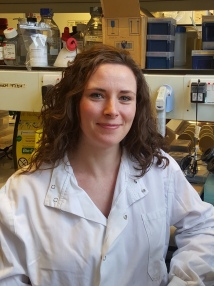 Dr Beth Holder, a researcher in Imperial’s Department of Medicine, struck Bronze at a competition in the House of Commons, for the excellence of her biological/biomedical research, walking away with a £1,000 prize. Beth presented her biology research to dozens of politicians and a panel of expert judges, as part of the poster competition SET for Britain, on Monday 7 March. Her research, which focuses on communication between the mother’s immune system and the placenta during pregnancy, was judged against 59 other shortlisted researchers’ work and came out as one of the three winners. SET for Britain aims to help politicians understand more about the UK’s thriving science and engineering base and rewards some of the strongest scientific and engineering research being undertaken in the UK. Stephen Metcalfe MP, Chair of the Parliamentary & Scientific Committee, sponsors of the Bronze Award for Biological and Biomedical Sciences, said: “This annual competition is an important date in the parliamentary calendar because it gives MPs an opportunity to speak to a wide range of the country’s best young researchers. Dr Mark Downs, Chief Executive of the Royal Society of Biology, said: “Scientists and politicians both have major roles in addressing some of society’s biggest challenges, from climate change to food security. SET for Britain is a rare opportunity for politicians to meet some of our most promising early career scientists and understand their work. “It is important that MPs make policy decisions informed by evidence, and a greater mutual understanding between MPs and scientists will improve this. The Government needs to ensure the UK continues to lead the world in biological research where we have enormous strength”. The Parliamentary and Scientific Committee runs the event in collaboration with the Council for Mathematical Sciences, the Institute of Physics, The Physiological Society, the Royal Academy of Engineering, the Royal Society of Chemistry and the Royal Society of Biology, with financial support from Essar, the Clay Mathematics Institute, Warwick Manufacturing Group (WMG), the Institute of Biomedical Science, the Bank of England and the Society of Chemical Industry. On Wednesday 3 February the Department of Medicine hosted Young Scientist Day 2016. 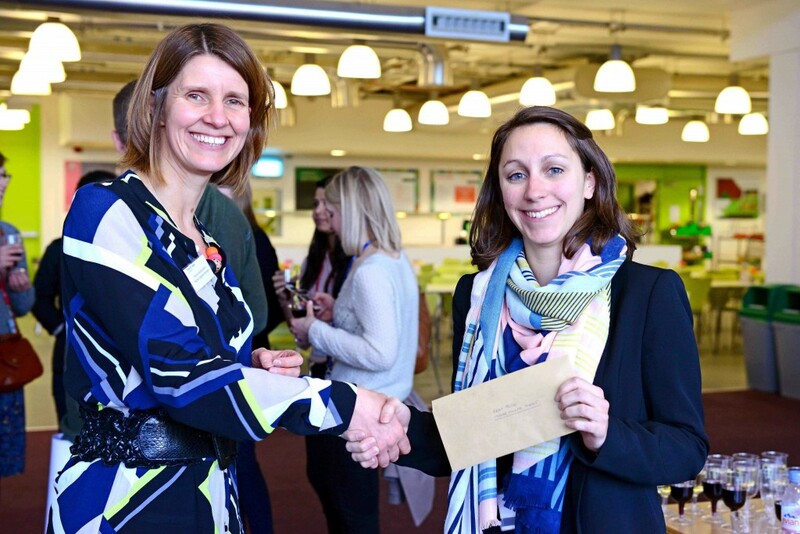 This annual event, designed to benefit both PhD students and Postdocs, saw a full programme of activities which included a PhD poster competition, a Departmental ‘3-minute thesis’ competition, guest speakers and a networking drinks event for all attendees. 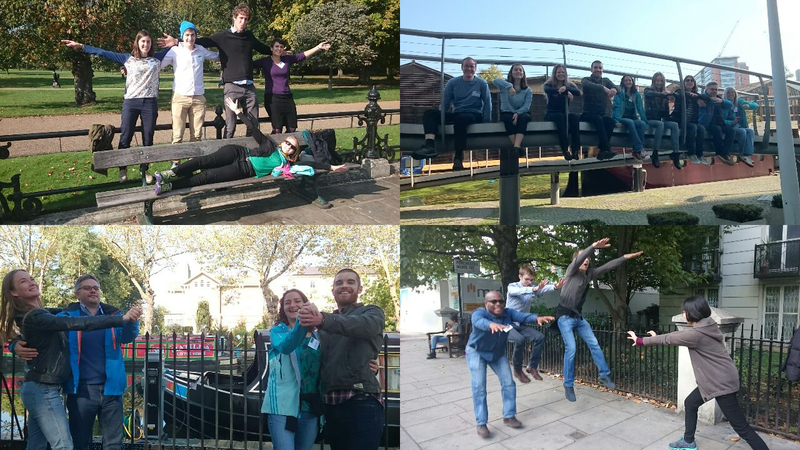 The event was hugely popular and welcomed a large number of research students and a handful of MRes and MSc students who joined in the day’s events. The morning was dedicated to poster presentations where research students from all five divisions had the opportunity to display their recent work to their colleagues and the judges who circulated throughout the morning. The afternoon was dedicated to the Department’s ‘3-Minute Thesis’ competition which saw one PhD student from each Section Cohort present their thesis research to a judging panel in only three minutes. The challenge included twelve students from different divisions who communicated their research to the judges and answered questions from the audience. 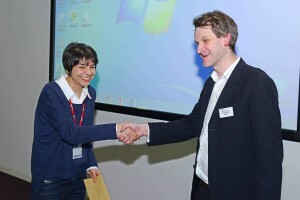 After a series of entertaining presentations, the prizes were awarded to Iris Scherwitzl for her presentation ‘The role of Mucosal- Associated Invariant T (MAIT) cells during dengue infection’ and Leor Roseman who spoke about ‘Reconstructing eyes-closed psychedelic imagery’. Both Iris and Leor will progress to the College’s ‘3-Minute Thesis’ competition hosted by the Graduate School and we wish them the best of luck. We also enjoyed two entertaining talks from Postdoc Laura Nellums and Research Fellow Bryn Owen who provided some useful and good-humoured advice about life after a PhD and their experiences in further research, both of which included international career paths. PhD students had the opportunity to ask Laura and Bryn questions about their respective careers in research before the evening was rounded off by a networking drinks session which provided a more relaxed setting for students, judges and speakers to socialise and muse over the day’s activities. Young Scientist Day 2016 would not have been possible without the generous support of the Graduate School, who provided funding for refreshments and prizes in support of the day’s cohort building activities. We also express our thanks to Dr Kevin Murphy, and to a number of other academics and Postdocs, who gave up their time to act as judges for the poster and presentation sessions. We look forward to making Young Scientist Day 2017 even bigger and better. The wriggling and writhing of worms may hold clues to the inner workings of our brains, according to scientists at the MRC’s Clinical Sciences Centre (CSC). The researchers have developed a pioneering tool to analyse a worm’s posture as it wriggles, and will use the tool to investigate how exactly the worm’s brain controls its movements. Postdocs were freed to ask “stupid questions” at the inaugural postdoc retreat. The day-long event was organised by postdocs for postdocs. “The science was great, but I think the biggest benefit is networking and getting to know the community in which we work. 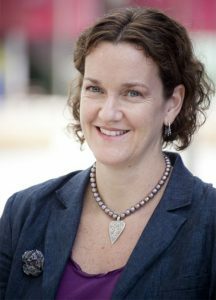 Finding out what people are working on so you know who to approach when you want to speak specifically about an area of research that you’re unfamiliar with is invaluable,” said Dr Angela Woods, a senior investigator scientist in the CSC’s Cellular Stress group. Vahid Shahrezaei is the new mathematician–in-residence at the CSC. 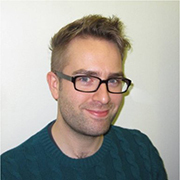 He’s been running a biomathematics group in the maths department of Imperial College since 2008, and is now taking up a visiting position that teams him up with the CSC’s biologists. He’s looking forward to bumping into biologists day-to-day, and though hasn’t yet sat in a lab with the CSC’s scientists, he’d like to try that out too. Regular interaction with biologists, Vahid says, is an important part of the atmosphere of the CSC, and key to creative collaborations. The Journal of Cell Science has selected Irene Miguel-Aliaga, who leads the CSC’s Gut Signalling and Metabolism and is a Reader at Imperial College, as a ‘Cell Scientist to Watch’. Last week, the journal published a two-page article and a video interview with Miguel-Aliaga in which she discusses how a TV series about lizard aliens invading Earth inspired her to become a scientist. In our series of scientific seminars, Art Arnold from the University of California, warned CSC scientists that preclinical experiments must not exclude female cells and animals. He said that it has traditionally been thought that females, with menstrual cycles and fluctuating hormone levels, are poor test subjects. But research in his lab shows that this is a myth. According to Arnold, when it comes to scientific research, women and men are comparable subjects. 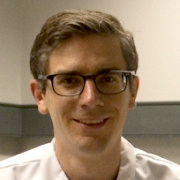 As part of their ongoing effort to support and nurture postdoctoral staff in the Department of Medicine, the Early Careers Committee (a subcommittee of the Development and Opportunities Committee) procured funding to enable postdoctoral research scientists and research fellows in groups without such funding to present their research at conferences. The Postdoctoral Travel Awards are open to all postdocs and academic research fellows in the Department of Medicine, particularly those who need assistance with extraordinary costs relating to caring responsibilities. Numerous applications were received for the most recent deadline and after careful deliberation the committee decided to allocate funds to Drs David Hodson, James Cole and Jason Long. Gene variants in or close to the gene encoding ADCY5 are associated with an increased probability of developing type 2 diabetes, a socioeconomically-costly disease state. To better understand how this gene may influence insulin secretion in man, David and his group employed molecular biology techniques to silence ADCY5 expression specifically in human islets. Using these approaches, they were able to show that ADCY5 is indispensable for coupling glucose to insulin secretion in beta cells through generation of the signaling intermediaries cAMP and ATP. In addition, they also demonstrated that samples from human donors who harbor risk loci for ADCY5 present with lowered mRNA levels. Thus, ADCY5 variants in or near to ADCY5 are likely to impair gene expression, elevating type 2 diabetes risk. “The travel award allowed me to attend this year’s OHBM meeting, held in Honolulu, Hawaii. OHBM is the premier international conference for the field of neuroimaging, and thanks to the travel award, I was able to attend this meeting for the first time in my career. The meeting attracts the world leaders from across areas of research relating to neuroimaging, and it was an excellent experience to be able to see the latest developments in my field all showcased in one event. As well as the many senior neuroimaging scientists in attendance at OHBM, I was able to meet with a number of more junior researchers with common interests to me, allowing me to get a broader view on the type of work being conducted by people at my career stage. The research I presented at the conference was an analysis from the EU project I work on, known as COBRA (ComorBidity in Relation to AIDS). The opportunity to present this work at OHBM 2015 was invaluable as I was able to get insightful feedback from a range of researchers in the field. 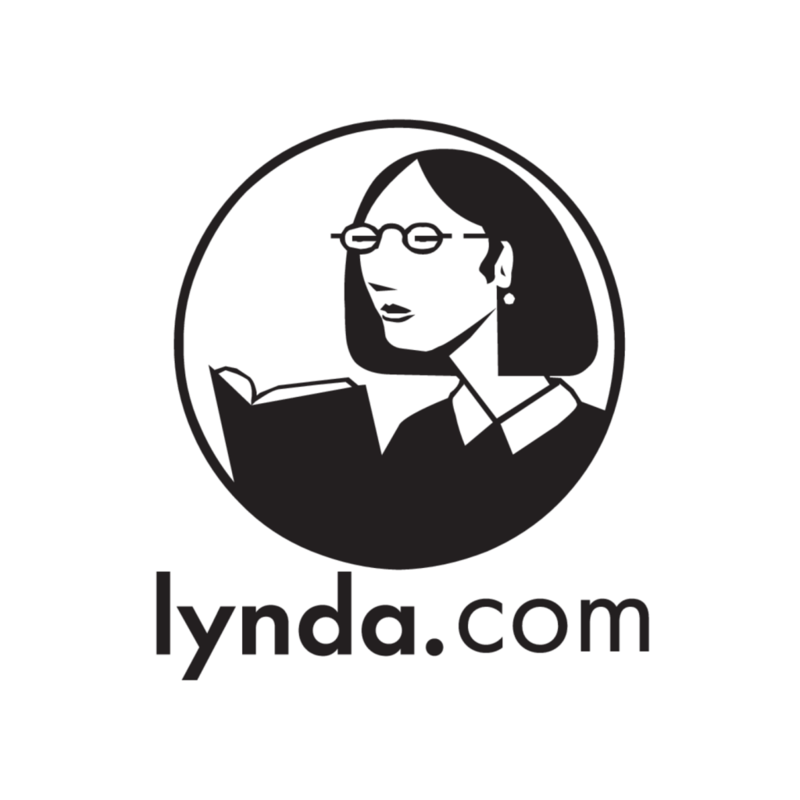 Furthermore, there is an important HIV research group based at the University of Hawaii, led by Dr Linda Chang. I was able to meet with Dr Chang and her colleagues, display my findings to them and discuss potential future collaborations. The advent of combination anti-retroviral therapy (cART) means that human immunodeficiency virus (HIV) infection is no longer a death sentence. For the first time, HIV-infected individuals are living into old age. Nevertheless, despite improved life expectancy, research conducted into groups of ageing HIV-infected people reports a concerning increase in the development of age-related diseases. Importantly this includes mild cognitive impairment, itself a key risk factor for dementia. As the number of older adults living with HIV increases globally, it is vital to understand what might underlie this increased risk of disease and cognitive decline. 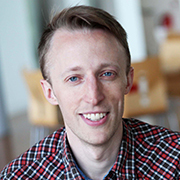 James and his colleagues use magnetic resonance imaging (MRI) to measure brain structure and function in HIV-infected people. They then compare these brain measures with carefully selected uninfected people, with similar demographic and behavioural characteristics. Using structural MRI, they have accurately predicted chronological age in a large, separate group of 1500 healthy people, by employing a computational technique called ‘machine learning’. They then made predictions of age in a group of 134 HIV-infected people, aged between 45 and 78, by comparing their brain scans to this predetermined machine learning model. On average, HIV-infected individual’s brains were predicted to be two years older than their chronological age. The uninfected group did not show this ‘brain ageing’ effect. This result indicates that, despite successful treatment with cART, individuals with HIV-infection have changes in brain structure that resemble those seen in normal ageing. Age itself is an important risk factor for cognitive decline and subsequent dementia. If there are ‘age-like’ alterations to brain structure due to HIV, these individuals may well have a higher risk of future health problems. Using this brain age model, they intend to further investigate which characteristics of HIV-infection may influence brain age, such as specific cART drugs, levels of residual HIV or behavioural and lifestyle factors. Influenza (flu) viruses originate in wild birds, and have crossed over to human hosts in pandemic events after which they adapt and continue to circulate causing seasonal epidemics. In addition there are frequent dead-end jumps from bird viruses into humans, such as the current H5N1 situation in Egypt and H7N3 in China. Yet these viruses have not yet made that extra leap to become pandemics. This is because the virus needs to make several changes in its genes in order to adapt to humans, a hard task for a virus. One such change that Jason and his peers have researched is the change in the polymerase (this is the virus machine that copies its genes inside the cells of the host). For many years we have known that bird flu viruses mutate a gene in its polymerase that allows it to replicate in humans. But until now we have not understood why. They took cells that were part mammalian and part avian. By looking to see if bird flu polymerase could or could not work in these cells, and comparing the genes between the different cells, they identified a chicken gene that bird flu polymerase can use in avian cells, but cannot use the human equivalent in human cells. This identifies the point at which the virus has to mutate in order to copy its genes and adapt to humans. This finding is very important for the development of antivirals against the flu polymerase, as well as understanding which bird flus may be able to make the jump from birds to humans. 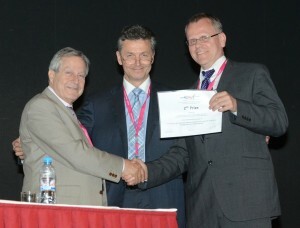 This highly competitive award has provided a grant of £1,500 for Mr Lattimer to present his team’s work on venous drainage at the 2016 Annual Meeting of the American Venous Forum, to be held in Orlando, Florida, next February. This is acknowledged to be the most prestigious venous meeting globally. Professor of Cancer Biology, Charlotte Bevan will take up the new role at the British Association for Cancer Research in the autumn of this year. In July Simon Taylor-Robinson, Professor of Translation Medicine in the Department of Medicine, was elected to the Council of the Royal College of Physicians. Dr Patel, a Clinical Lecturer in the Department of Surgery and Cancer, has been elected to the European Society of Intensive Care Medicine NEXT (Network of EXecptional Trainees) committee. 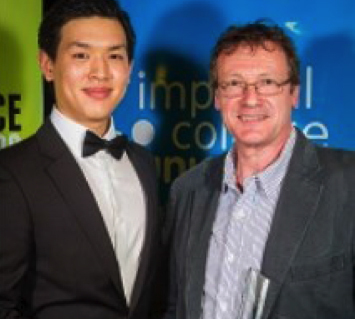 In June he was also awarded a 2015 American Thoracic Society abstract scholarship.